The world wants accountability from the caretakers of such a wonderful place as Yamsi. Many conservation awards have been given to the Hyde family for restoring the river banks and replanting many thousands of pine trees and willows on the land. Cattle graze contentedly nearby, and play a critical role as a tool for keeping our environment healthy. 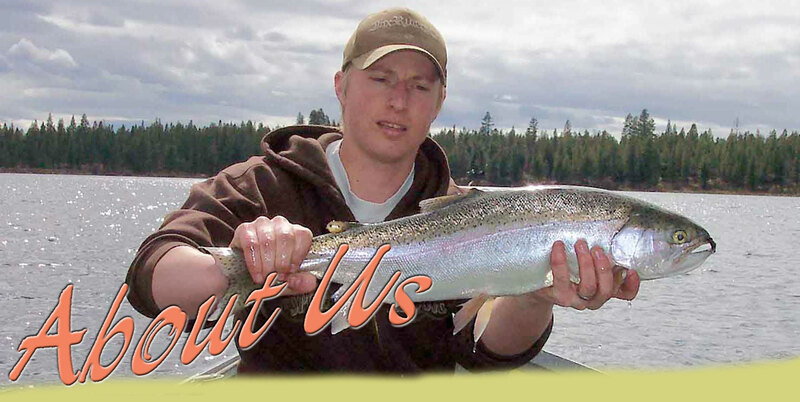 Our philosophy is to strive for a world-class fishery in harmony with the environment, the people and the animals. Established in 1911 the 5000+ acre ranch is home to a herd of 450 mother cows, their offspring which arrive in March, and quality ranch horses that foal in May. The ranch cattle are marketed through a cooperative known as “Country Natural Beef” in various natural food markets. The horses are raised and sold private treaty from the ranch. The ranch also hosts traditional ranch roping clinics and other horse related events. Yamsi is also home to an assortment of wildlife and flora and is managed holistically. Timber, grasses and cattle are managed with the whole in mind. Habitat for fish and wildlife are an important consideration for management. Wormers for cattle and chemicals of any sort are kept to a minimum if used at all on the ranch and its environment. Non-fisherman find plenty to do at Yamsi. Canoe, Kayak, or Paddle board Hyde Lake. The lake and river offer great opportunities for those interested in bird watching and hiking. Read and relax on our front porch in exquisite silence while the hummingbirds feed just a few feet away over the Golden Glow. Play cards or, if you dare to live dangerously, challenge your host to a game of dominoes or cribbage. We are a wildlife sanctuary. On bird watching and nature hikes down the valley you may see bald eagles, pelicans, herons, egrets, ducks, song birds, deer, antelope, elk, cougars, coyotes all living peacefully in our balanced, healthy ecosystem. The ranch is managed by family members who care deeply for the land and our livestock. “The Yamsi Ranch is Mecca for the spring creek trout fisherman! Great access, beautiful setting, huge numbers of fish – many of which are huge fish, bug hatches so thick your spit doesn’t make it to the ground and accommodations so comfortable and authentic you think you grew up on the property as a cowboy. The fishing is technical but the fish are present in such numbers that even a beginner hooks up. The family staff is knowledgeable and enthusiastic and can serve up just the right recipe of care and freedom to satisfy all who come. Joe & James Jayne are traditional ranch roping –less stressful for cattle, horses and people. We are excited that Dayton and Sally Hyde are often able to be here to host our guests at Yamsi Ranch. Let us know if your trail riding group would like to visit!